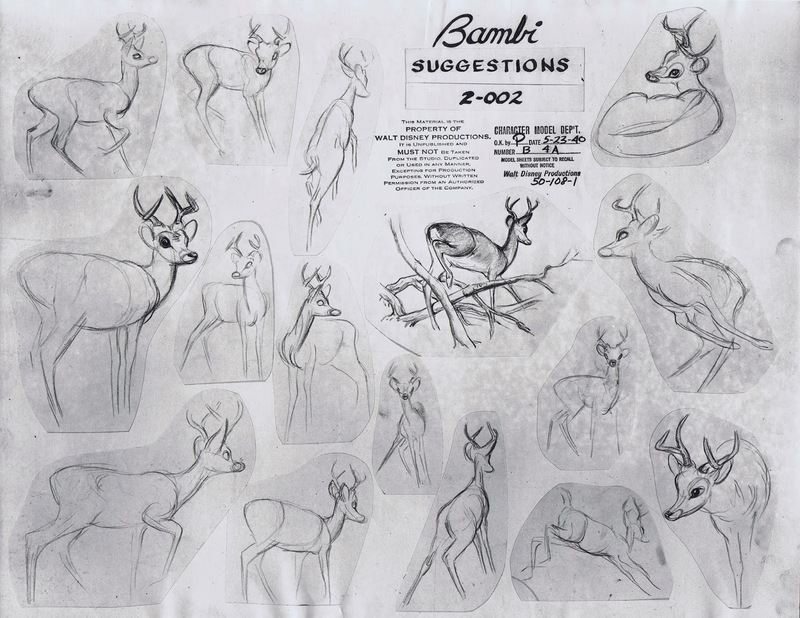 This post focuses on the different stages that were involved in the design of deer characters for animation, particularly young adult Bambi. 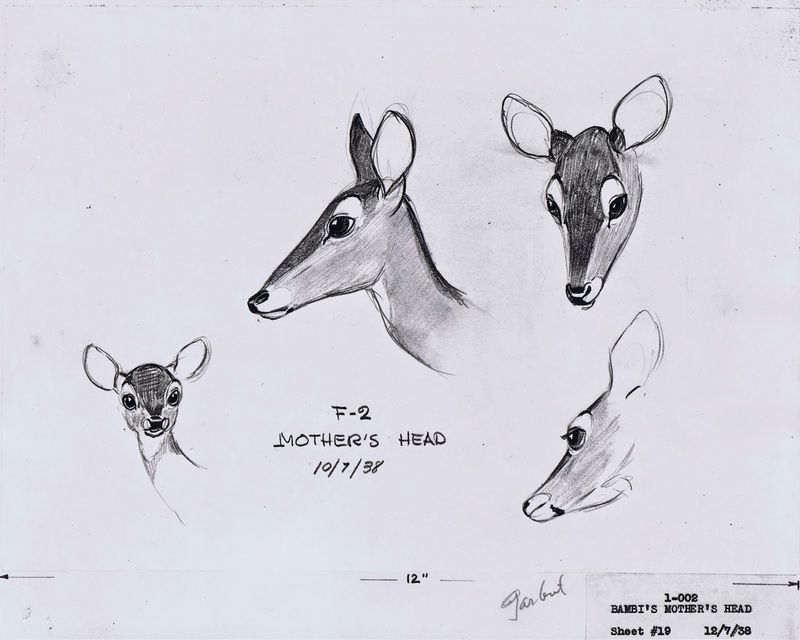 To get the artists ready for a film that featured characters with unprecedented realism in drawing and movement, special anatomy classes were held, so the animators would get to know the body of deer inside and out. In the photo above you can spot story artist Mel Shaw in the middle of the back row, and on the left are animators Retta Scott and Frank Thomas. 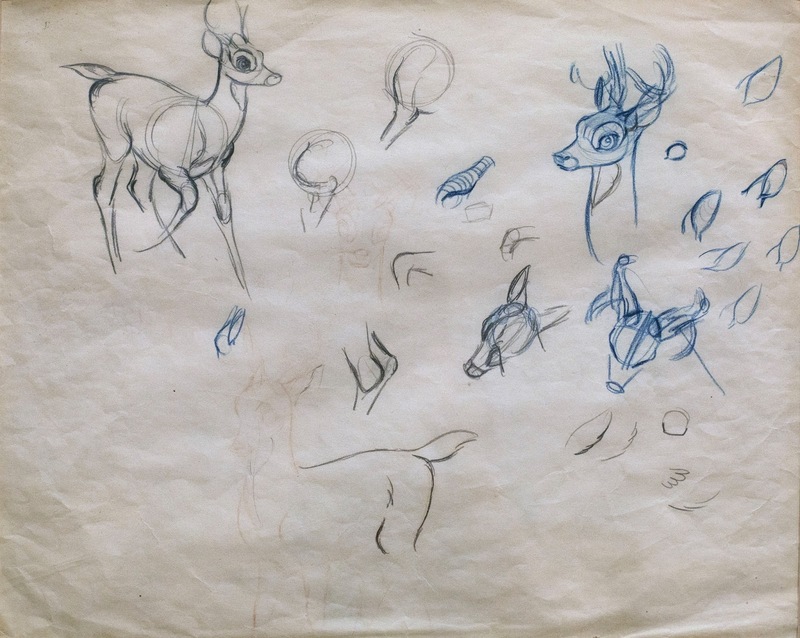 After many thorough studies of the animals, it took a while to come up with animatable designs that could communicate true animal behavior as well as human feelings. It seems that three artists were responsible for this successful evolution. 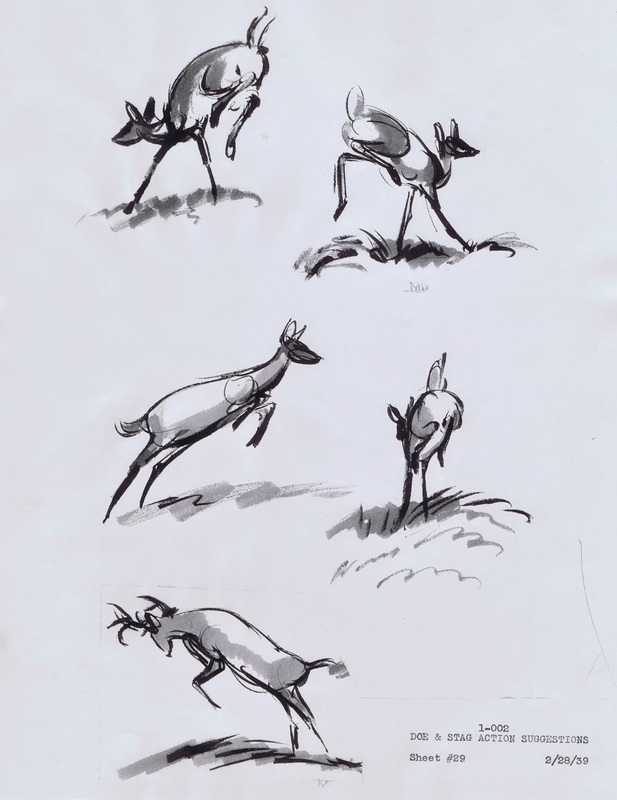 Bernard Garbutt had a way of simplifying the appearance of deer and discover natural and dynamic poses. 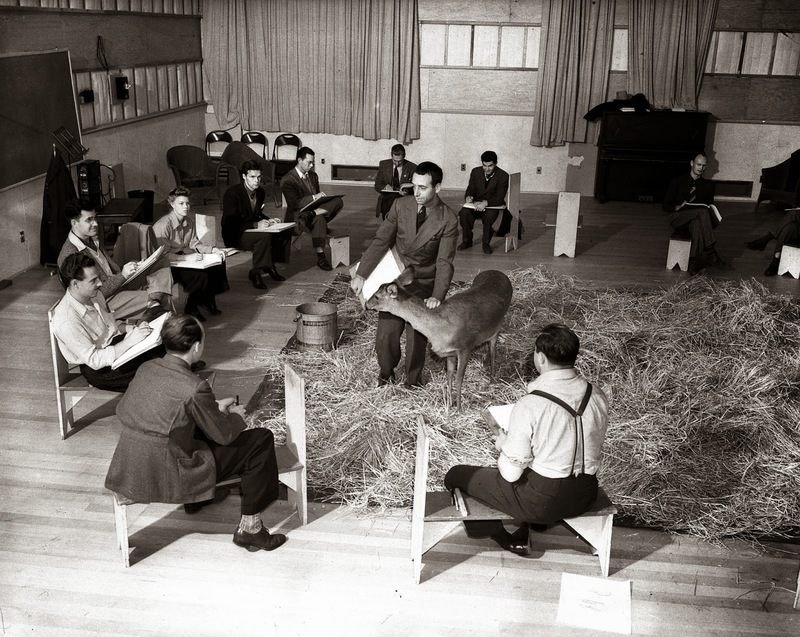 His animals don’t talk, but they present a terrific base to build personalities on. 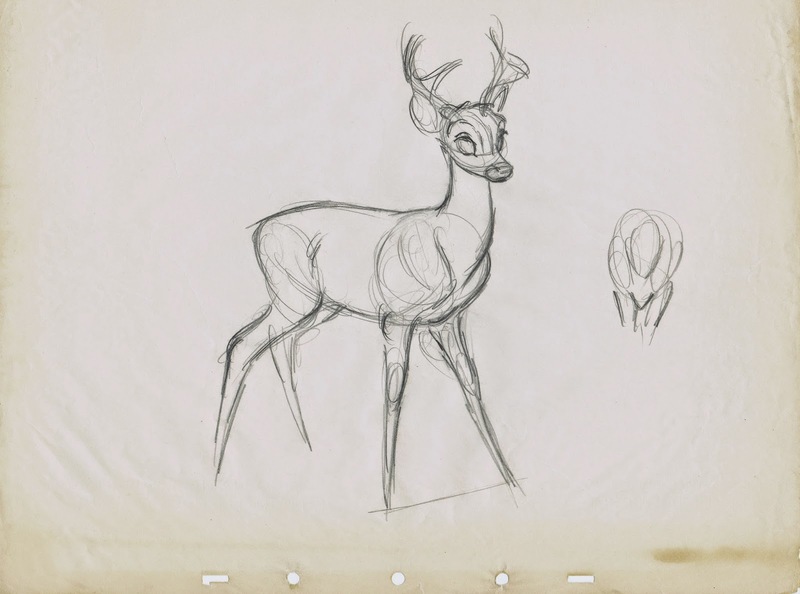 Marc Davis studied graceful realistic movement, before adding human expressions while storyboarding particular sequences for the film. 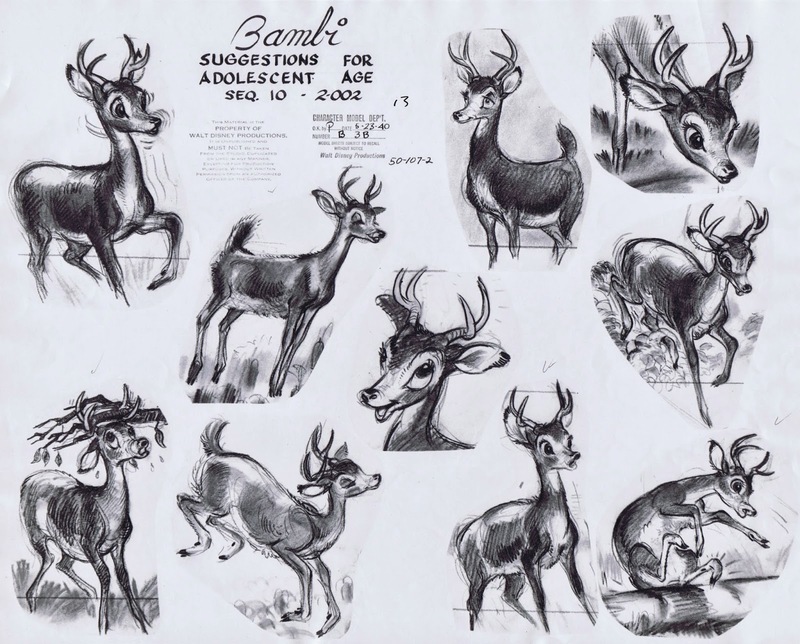 Milt Kahl gave the final look to all deer characters, including adolescent Bambi. 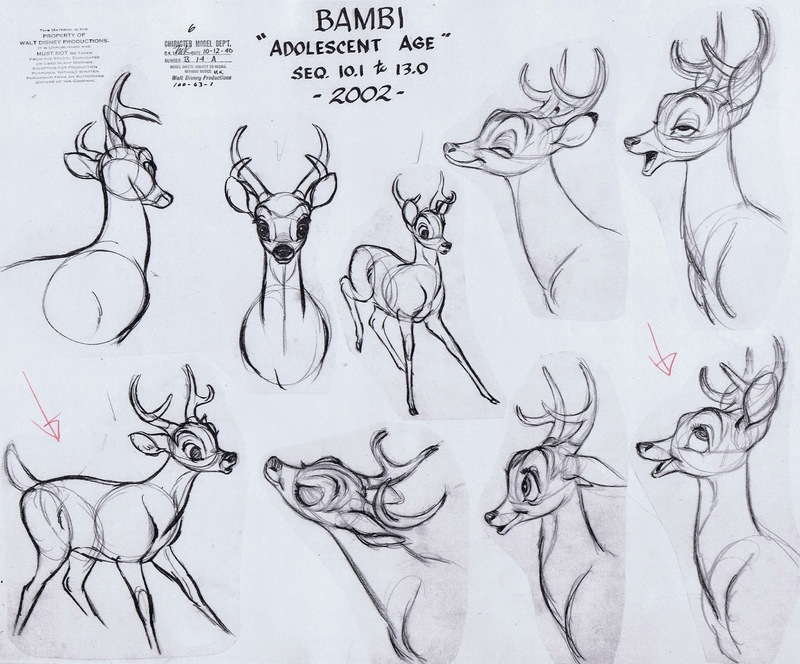 He ended up animating most of his personality scenes, including the section where Bambi meets Feline as an adult. As usual, the anatomy in his drawings feels rock solid while offering possibilities for unrealistic, even cartoony animation. 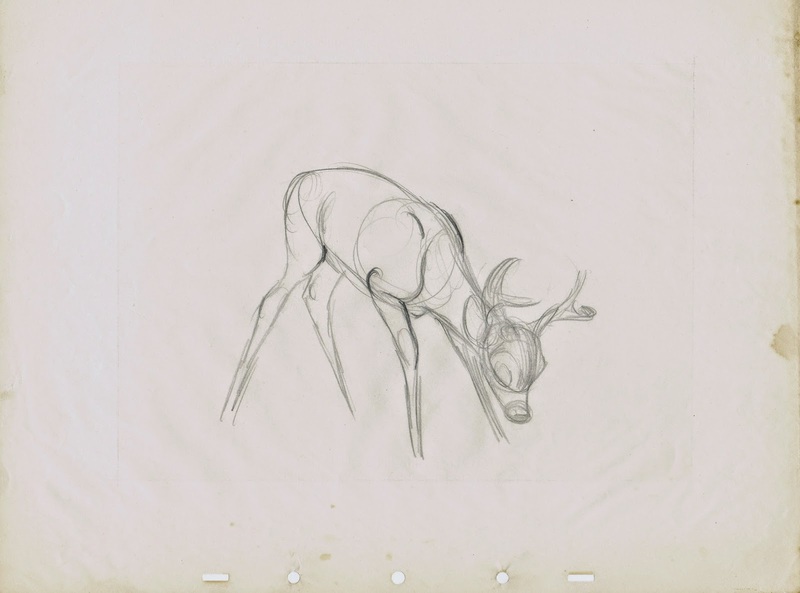 Milt’s animation of Bambi following Feline through the clouds has nothing to do with realistic deer motion, but it interprets instead the dreamlike state of falling in love. 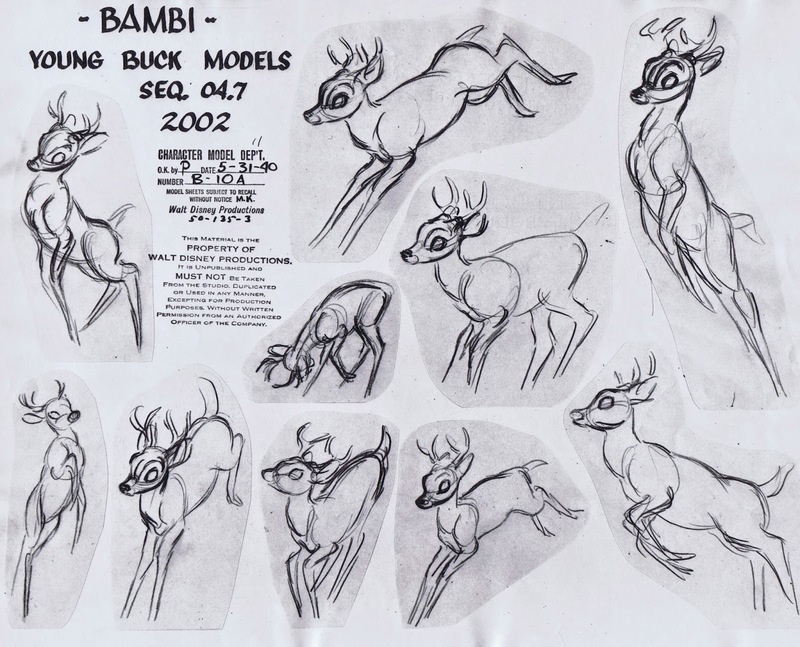 A great doodle sheet, Milt explores proper animation anatomy in detail.